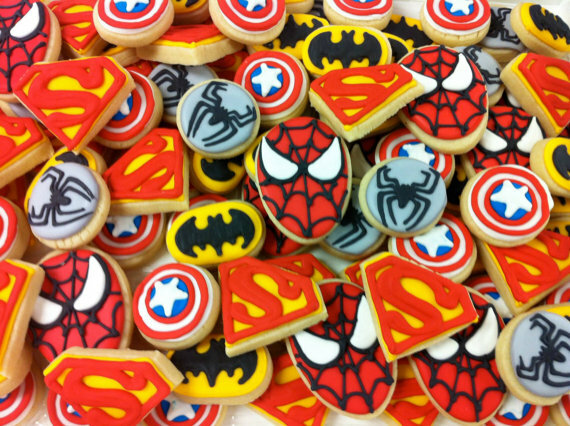 Set includes 3 dozen assorted super hero cookies, as pictured. (batman, spiderman, superman, and captain america. Our sugar cookies are soft baked, hand decorated in a sweet vanilla bean glaze, heat sealed to lock in the fresh baked taste.